1. Make sure that you have followed Preparing Managed Servers. 4. 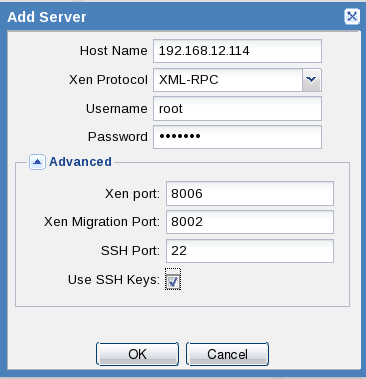 Select Virtualization Platform, then click OK. For example, select Xen and then click OK.
6. 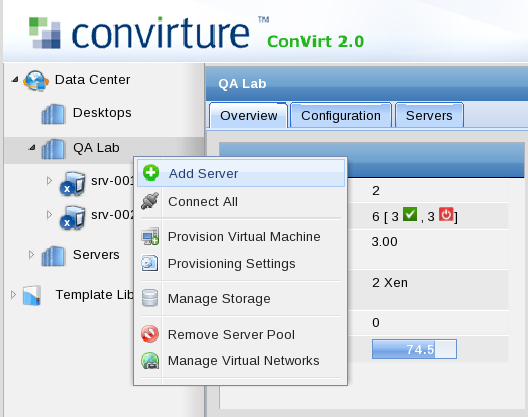 If the connection is successful, the managed server is added to the Convirt console. 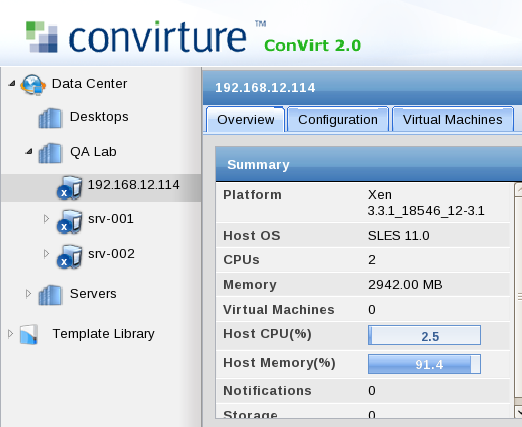 You can now create and manage the complete life cycle of virtual machines on this managed server.